More than 100 students from across the nation gathered in Philadelphia this past weekend for the 2016 FIRE Student Network Conference. Set at Drexel University and the National Constitution Center, the event gave students the opportunity to learn about their free speech rights on campus. In addition to comprehensive workshops led by FIRE staff members, students learned about the experiences of keynote speakers Alice Dreger and Jason Riley. Attendees of the 2016 FIRE Student Network Conference. Dreger kicked off the conference Friday evening with a rousing discussion of academic freedom and how students should approach free speech advocacy. Dreger drew heavily on her own experience, having resigned from her professorship at Northwestern University last August after a prolonged battle with the administration over censorship of the faculty-produced medical journal Atrium, of which Dreger had been an editor. She encouraged the attendees to act with integrity and to consider opposing viewpoints. Student-participants represented institutions from coast to coast, including the University of Connecticut, the University of Florida, the University of Southern California, and the University of North Carolina. 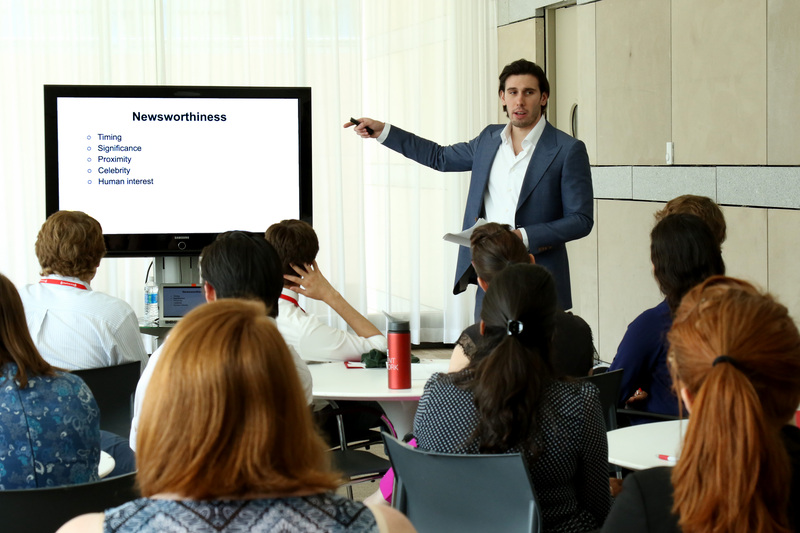 Students worked closely with FIRE staff to explore current free speech challenges facing college campuses and develop effective strategies for combating censorship at their schools. FIRE’s Director of Communications Nico Perrino leads a breakout session. Saturday’s morning session kicked off with “Free Speech 101: Speech on Campus” by FIRE’s Will Creeley, followed by Catherine Sevcenko’s session, titled “On the First Amendment Barricades: Fighting for Free Speech on Campus.” FIRE’s Robert Shibley, Joseph Cohn, Nico Perrino, and Peter Bonilla led interactive breakout sessions on topics ranging from broad discussions of Title IX to the minutiae of FIRE’s investigative process. Attendees also shared ideas for campus activism and plans for the fall semester. On Saturday afternoon, FIRE’s Samantha Harris explained in her session, “America’s Worst Speech Codes,” how university speech codes restrict student expression and how FIRE can help students who face censorship on campus. FIRE President and CEO Greg Lukianoff addresses the conference. debate about common campus speech issues. Next, student activists, including Michael Kriete, Zach Wood, Benton Berigan, and Tina Varlesi, participated in a panel discussion to share their experiences with pushing back against censorship and standing up for student rights.The weekend concluded with a session by FIRE’s Azhar Majeed on the importance of the Chicago Statement on Free Expression and effective strategies for students to help their schools adopt it. The conference was jam-packed with discussion, information, and resources for promoting individual rights on campus. Student testimonials after the event were positive, with the keynote addresses as highlights. One student told FIRE that Riley was a particularly “excellent speaker” who sparked “a lot of conversations amongst [the] attendees.” Another said Dreger’s speech “inspired” them to begin researching campus censorship on their own. You can see more reactions from the conference by searching #FSN16 on Twitter. FIRE would like to thank our participants and guests for a fantastic event. 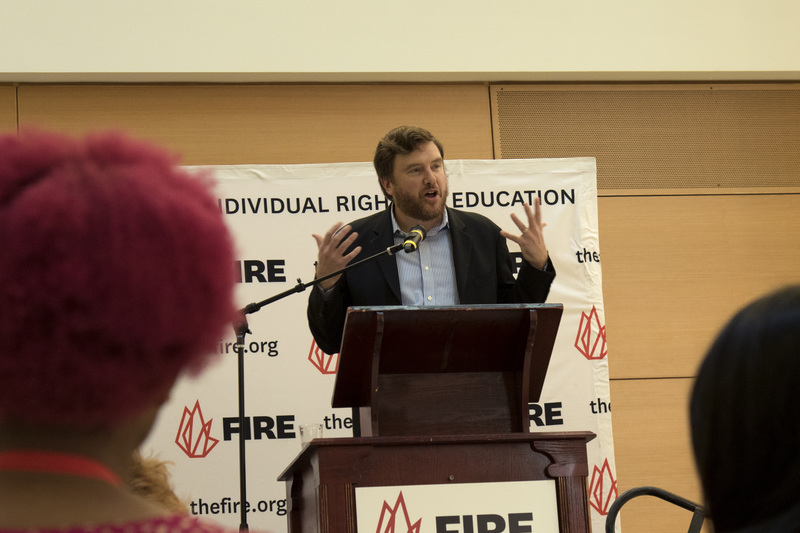 Remember, anyone can join the FIRE Student Network and access resources like our Guides to Student Rights on Campus, speech code information, guest speakers, activism tips, and much more.